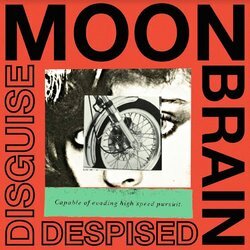 Disguise Despised is the new single from MOON BRAIN, the solo project of Sydney singer/songwriter David Rogers (Nantes, Jonathan Boulet). Recorded and mixed at the renowned Pool Studios in London, Disguise Despised showcases Rogers’ cinematic indie pop approach. Disguise Despised plays out like scenes moving through a view-master - as one vignette becomes crystal clear, the next seamlessly transitions into frame. Each becomes a new environment in which Rogers decks out with lush synths and knotty bass grooves. Tied together by a guitar hook from heaven, he recalls the sophisticated song-craft of favourites Grizzly Bear and New Order. The track was produced by Simon Todkill (Matt Corby, Birds Of Tokyo) and mastered at Abbey Road Studios by Frank Arkwright (Arcade Fire, New Order). It is the follow-up to the MOON BRAIN self-titled debut mini-album.